AMI NF9 Nanofiltration NF Spiral Wound Membrane Elements | Applied Membranes Inc.
AMI® NF9 spiral wound nanofiltration elements provide high productivity performance while removing a high percentage of salts, nitrate, iron and organic compounds such as pesticides, herbicides and THM precursors. The low net driving pressure of the NF9 membrane allows the removal of these compounds at low operating pressures. AMI membrane elements are among the finest in the industry. With hundreds of thousands of membranes in operation world-wide, we offer these nanofiltration (NF) membrane elements in standard residential and commercial sizes. AMI NF Membranes are Made in the USA in our ISO 9001:2015 Certified Facilities. Each membrane meets or exceeds our strict performance requirements before shipping. For the past 30 years we have earned a reputation of delivering consistent, high quality which makes AMI Nanofiltration Membranes the natural choice for use in water treatment systems. * D= Flush Style. Replaces Desal 5. 30 mil spacer standard. For 43 mil spacer, add -43 at the end of the model number. Example: M-N2540A9-43. 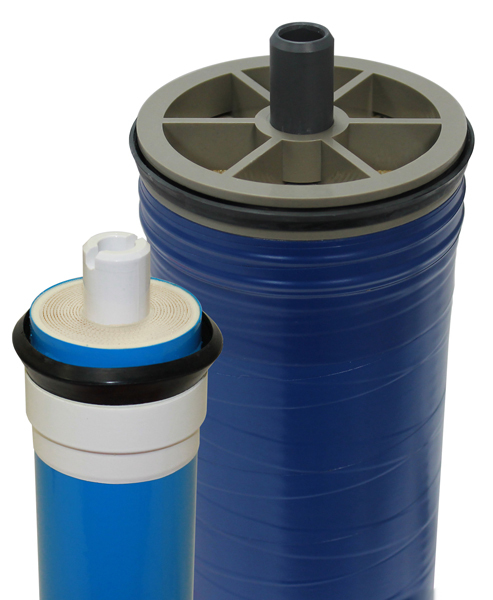 Note: Performance specifications based on 2000 mg/l magnesium sulfate, 150 psi (1 MPa) applied pressure, 77ºF (25ºC) feed water temperature and 15% recovery. Element permeate flow may vary ± 20%. Permeate flow rates for feed streams other than water will vary.